Incorporated as Osaka Cork Kogyo Co., Ltd.
Morinomiya Plant is completed in Osaka. Started using the corporate mark on Daiwa Can products. The corporation is renamed Daiwa Can Company. Morinomiya Plant is renamed the first Osaka Plant. 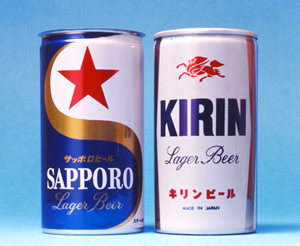 Shimizu Plant begins manufacturing beer cans. New Osaka Plant is completed. Kyushu Can Co.,Ltd is merged with Daiwa Can. Headquarter is moved from Osaka to Chuo-ku, Tokyo. D&I can plant is completed at Tokyo Plant. Capital increased to 2,400 million yen. The can plant of Sapporo Breweries is acquired. The Shin Tobata Plant is completed. A can inspection system with high-speed image processing is developed. PET plant is completed in Oigawa. Gunma PET plant is completed. 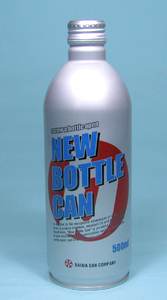 The Mini Bottle Can wins a bronze medal in the Bottle Can Section of the Can of the Year awards at Cannex 2005.
Business alliance with Universal Can Corporation with respect to can bodies and ends is formed. Impress and Daiwa Can Sign Strategic Alliance. Tokyo Plant received award of being symbiotic plant from the community in Kanagawa. Announcement on Business Partnership with Barokes. American Can Company, the largest in the U.S. at the time, renews its TAA with Daiwa Can. 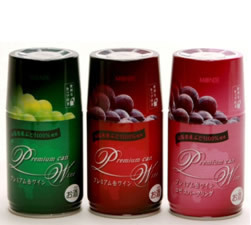 Shimizu Plant begins manufacturing cans for carbonated soft drinks. 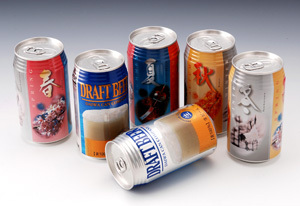 Tokyo Plant begins manufacturing beer cans. Aluminum EOE cans manufacturing starts operation. 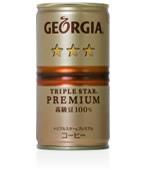 Begin commercializimg the world's first coffee drink can. 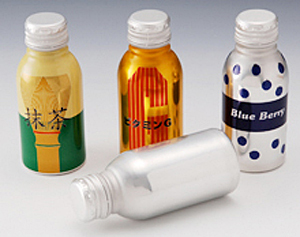 ・Tinplate EOE (easy open end) can is developed. 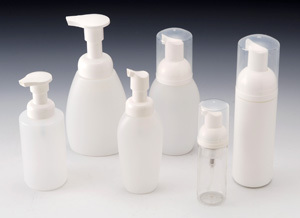 ・Multi-layer plastic tube is commercialized. 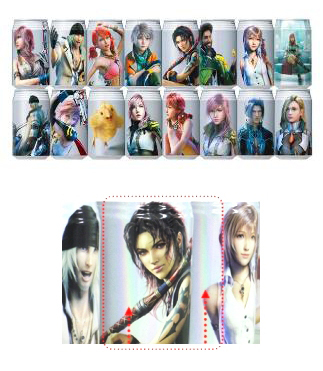 ・Production of 2-piece aluminum cans starts. 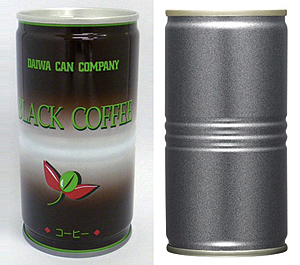 Granted American Can company Daiwa 2-piece steel can manufacturing technology. Liquid nitrogen filling technology is developed and commercialized. The heat seal end cap commercialized. 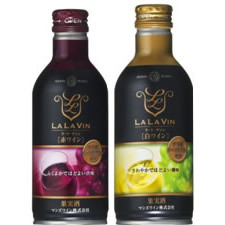 Founded a subsidiary "Fountain Can Corporation" in Taiwan. The barrel can is developed. The squeeze former is commercialized. Aseptic filling system for liquid coffee can starts operation. Lightweight 3-piece can ("balance can") is developed. High-speed line (1,200 cans/min.) 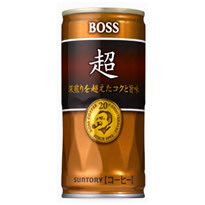 for 3-piece cans starts operation at Shimizu Plant. Stay-on tab end (SOT) for beer and carbonated drinks is developed and commercialized. Inline super detector to eliminate tapping inspection of 3-piece can is developed. Coil coating of sheets for 3-piece can body stock is developed. A stay-on tab (SOT) end for retorted beverages is developed and commercialized. A new can washer with higher efficiency and shorter processing time is developed. 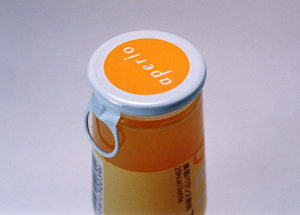 Developed stay-on tab (SOT) for use on drink cans for promotional campaigns. 3-piece laminate can, with greatly enhanced aesthetic appeal, is developed and commercialized. 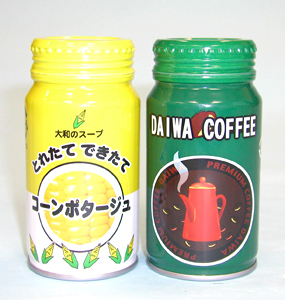 The 3-piece double-necked can is developed and commercialized. Laminate line starts operation at the Shin Tobata Plant. ASPETIC INTEGRATED SYSTEM (ASIS) Line #1 starts operation as joint venture with Toas Co., Ltd.
ASEPTIC INTEGRATED SYSTEM (ASIS) Line #2 starts operation Oigawa Plant as a joint venture with Sanwa Kanzume Co.,Ltd. World's first lightweight aluminum Bottle Can is developed and commercialized. The New Bottle Can wins the Can of the Year Grand Prix award at Cannex 2000, the first time a Japanese can manufacturer wins this award. 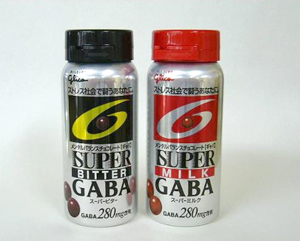 The second Grand Prix award to Daiwa after Cannex 2000, the Spiral Bead Can wins the Can of the Year Grand Prix award at Cannex 2003. Flat Tube is developed and commercialized. WORC Bottle can is developed and commercialized. 3P WORC Bottle Can is developed and commercialized. At Cannex 2006 hosted by The Canmaker (magazine), in the 3P Beverage Can category our WORC Bottle Can took the Gran Prix, and our chocolate can the Silver in the 2P Food Can Category. Aerosol Cap with content discharge (gas discharge) mechanism is developed. At Can of the Year hosted by The Canmaker (magazine), in the 3P Beverage Can category our Laminated Can with Foaming Ink took the Gold prize, and the Grip Can the Silver; in the 3P Food Can Category the WORC Bottle Can won the Silver prize; in the 2P Food Can Category our Mini Tablet Container won the Silver prize. Retort cup is developed and commercialized. Tablet container is developed and commercialized. New Bottle Can for wine is developed and commercialized. At the International Steel Packaging Awards hosted by APEAL (The Association of European Producers of Steel for Packaging), in the Beverage Can category our WORC Bottle Can received The First Prize. New launch of Eco-conscious Steel Can (3-piece, 190g). Expansion Forming Can wins Bronze Prize at Cans of the Year 2009. Daiwa wins awards in three categories at Cans of the Year 2010. 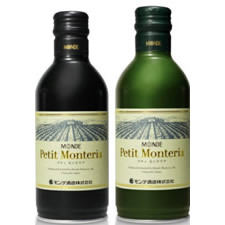 Premium Canned Wine Monde Distilleries Ltd.
Petit Monteria Wine Monde Distilleries Ltd.